PLEASE CHECK DIMENSIONS AND CONSOLE FORM BEFORE PURCHASE. If your radio antenna port is like in picture, you can add in optionals the "ISOFZ" radio adaptor cable. This unit support original car amplifier. If your car has original fiber optic amplifier you will need to order the optional "EXL006" so you will be able to connect in trunk. You will use unit amplifier instead fiber amplifier. 7" Full HD Multi-touch screen Android 8.1 Radio DVD GPS USB SD BT WIFI, with Wireless Mobile Mirror and Full RCA Outputs. 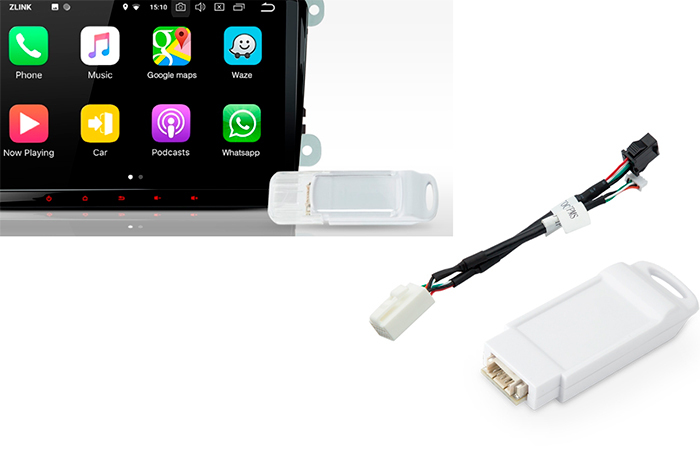 Optionals: CarPlay Adaptador, TPMS, DAB+, OBD2, DVR, TPMS, Rearview /Front Camera, external mic. 1. Please ensure your car’s central console is oval-shaped before purchasing, or this unit can NOT fit with your car. If the central console is quadrate-shape, please refer to other models we have in web, like PB78M245P. If it is trapezoidal-shape, please refer to other models we have on web. 2. Please do check the dimension of your Mercedes-Benz A-W168 center console first, the top width of our PB78M203P is 220mm, if yours is 212mm, this unit will not be fitted. 3. 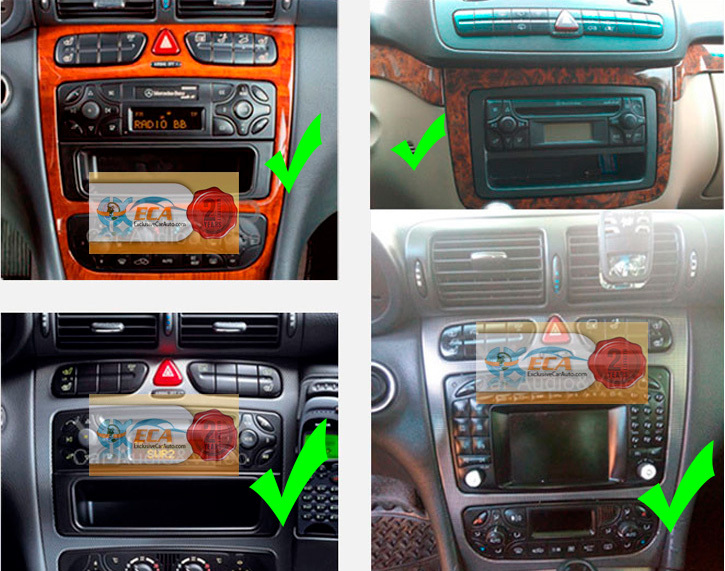 If your car has fiber optic amplifier you will need to order the optional "EXL006" so you will be able to connect in trunk.. Will use unit amplifier instead fiber one. 6. Please note your CD changer will NOT work after installing this unit. With the RCA output function you can share all features simultaneously with your friends at the back seat.Thanks to the dual zone function,DVD could be played at backstage and transmitted to the back seat monitors for your kids watching while the headunit is navigating. No more distractions. This unit allows you to enjoy movies, music or videos from many different sources, such as DVDs, USB sticks and SD cards. You can also connect digital TV box with this head unit to enjoy digital TV on the high resolution 7 inch display. 7" Android 8.1 Car DVD GPS Wifi.